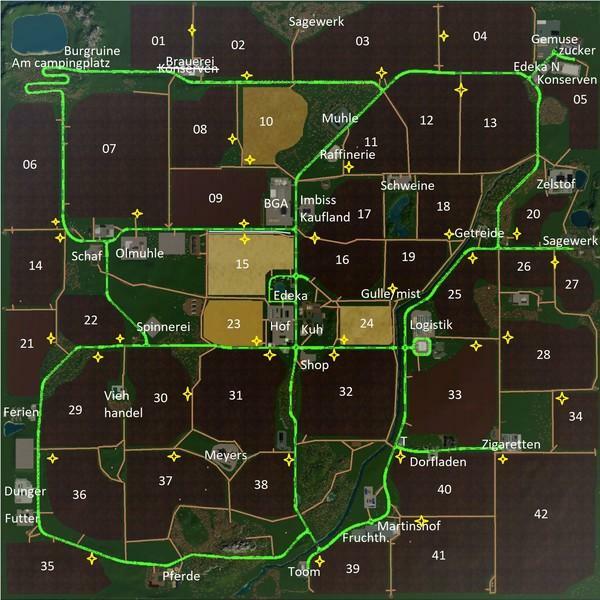 Part 1 with courses from field to hofsilo, s and back. Machine courses after box, instruction attached. Field 05,20,34 come with direct sales field. Sales courses are in progress.